PCB, or printed circuit board, refers to an etched wiring board with a clear image of electronic components. Typically, these images serve as a clear guide for a complicated set of circuits. You can also use a PCB image as an artistic statement instead of a component of electronic work. Using silk-screen techniques makes creating a PCB image relatively simple. Always use caution when dealing with hot materials such as irons and chemical solvents. Create a design using an image editing program such as Photoshop or CAD. You can also hand draw a design and scan it into your computer. Keep in mind that the design should be very clear, with moderately thick black lines and dots. These images are known as traces. Test print your image on a sheet of regular paper using a laser printer. Make sure to set your printer for the darkest image. Cut the edges of the paper off the image, leaving a small border. Sand your PCB board in a cross-hatch pattern using 400 grit paper. Clean the mess off the board using a standard cleaner such as rubbing alcohol. Iron your paper to the board. Make sure the iron is set on the highest temperature and that it has fully warmed up. The ironing process should take between 2 and 5 minutes, depending on the size of your board. If you are unsure if enough time has passed, give the board another minute of ironing. You should be able to see the traces through the paper. Set the board in a bowl of hot water. This will cause the paper to separate from the board. It should take about 10 minutes. You may have to manually pull the paper from the board. Drop the board into the ferric chloride solution. Keep a careful watch on the solution, using a plastic fork to inspect the board. This step should take about 10 to 30 minutes. 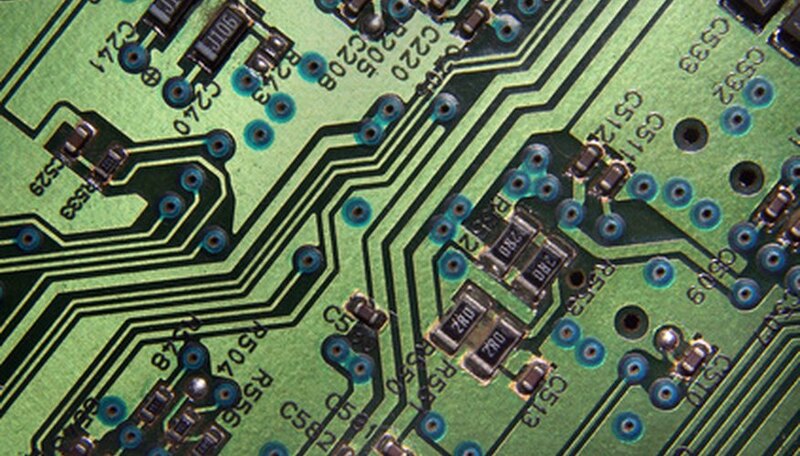 This solution eats away the copper on the PCB board, leaving a clear pattern. Remove the board from the solution. Use the acetone toner and a Q-tip to remove any left-over copper.